What is a Flea Treatment for Dogs? What is the Fastest Way to Get Rid of Fleas from Your Dogs? 1. What is the difference between topical and oral medication for flea control? 2. Does every dog suffer from skin redness after the application of the flea topical treatment? 3. Why topical flea treatment solution has dog weight categories? Out of many methods of flea treatment for dogs, we have always suggested people use the topical treatment. Because dogs will not have to suffer from the delay in parasite killing action like the oral flea control medication. Similarly, the pooches will not have to keep bathing with the tick control shampoos for its low effectiveness. You can find the best flea control topical medication along with their reviews. All you have to do is go for the product according to the weight category of your Fido. The Frontline Plus deserves all the popularity it is receiving for the exceptional flea control results. Once you put these drops on your little champ, its waterproof formula will make it last on your pooch for a month. In fact, it will save your pooch from Lyme disease as well. Not to mention, this roll-on can easily kill the fleas and ticks coming to its contact but it will kill the whole flea colony. And, because of its foolproof flea control method, many of us love it the most. Flea treatment for dogs is neither a single acting cure nor prevention but the treatment acts against ticks, lice, mites, mosquitoes depending on the formula of the product. However, most of the products prominently contribute to keeping the fleas, flea larvae, and flea eggs along with the ticks. As the matter of fact, the method of applying this treatment also differs from product to product. Some brands make the liquid solution which you can easily apply to the dog’s shoulder blades. It will last for a months period on the dogs’ skin and fur maintaining its effectiveness. In the same manner, makers also manufacture the oral consumption tablets which also keeps the fleas, ticks, etc. away. In addition to that, some products also have the spray method of application. It has its own merits and demerits depending upon the products and application process. On the other hand, there is another type of product which people use i.e. flea treatment for dogs collar. With this product, everything becomes easy. In fact, it last way longer than the oral consumption tablets or drop-on solutions. Also, you can remove it from your dog when treated completely whereas you can still let your dog wear it as a precaution. Three of these commodities act differently in keeping the fleas, ticks, etc. away. You can refer the next sub-section for more details. There are many methods of treating a dog who is suffering from flea, tick infestation. Also, each of those methods has their merits and demerits. But we will talk about the topical flea treatment for dogs in this section as well as its working. Firstly, the topical treatment means the application medication at a specific spot of the body in order to cure any ailment. In our case, we are curing the flea, tick, mites, or lice infestation in dogs by applying a solution to the dogs’ shoulder blades or back of the neck. The solution should come in contact with the skin directly for better results. Hence, instructions on the packet also suggest applying the solution holding the dogs’ fur aside. As soon as the solution gets in contact with the dogs’ skin, it starts developing the immunity layer on the skin. This process starts from the spot where the solution is applied and eventually reaches the whole skin and fur. Therefore, the parasites start dying after experiencing an initial paralytic blow which as present on the skin. However, it does not necessarily kill the flea eggs all the times which is the loophole of applying the topical solution. Nevertheless, continuously applying the topical solution of a couple of months will kill the fleas which were in eggs initially. Getting rid of fleas and tick from a dog can involve either an easy combing, shampoo, topical, oral, spray, or flea collar medication. Amongst them all, the topical method not only gets the fastest solution but also a long lasting one. However, dogs having sensitive skin can develop redness or irritation during an initial period. Nevertheless, the topical method can easily kill the fleas, ticks, lice, and even repel mosquitoes(depending on the product). In fact, the topical treatment starts showing wonders just after a couple of hours of applying the solution to the dog. As the matter fact, a drop-on solution even starts acting within ten minutes of applying it(product-in the review). Not to mention, the best part of the topical medication is that it stays on the skin of the dog without entering the body. Hence, it can kill the fleas, ticks, etc. just by getting in contact which is ideal. On the other hand, when you feed your dog the oral medication the meds stay in the bloodstream. And, the fleas will die only if they bite, otherwise, the fleas could keep bothering the dog for a long time. As we mentioned the advantages of the topical treatment above, we have shortlisted the ten best drop-on meds i.e. flea treatment for dogs. You can find reviews of each product in their respective sub-sections. Frontline Plus has stood as the best flea treatment for dogs weighing between 45 pounds to 88 pounds. It means the Frontline Plus is a product suitable to most of the medium sized adult pooches(in ideal cases). Hence, if you have a Fido falling under the same weight bracket then you shall go for this product without a doubt. There are many merits of using this product which you can see in the next section. Starting with the merits of the Frontline Plus, it is the most popular flea treatment for dogs which even control ticks and prevents transmission of Lyme disease. As the matter of fact, its ingredients i.e. fipronil, and s-methoprene are reliable for keeping the fleas and ticks away. Not to mention, you have to apply the Frontline in between neck and shoulders of your pet at the back. Because the dogs cannot lick at that spot. Apart from that, there are a few things that you should know about this product too. You will not see the results for a couple of days after applying the Frontline on your pooch. In fact, the Frontline will take at least 12 hours after application to even spread to each spot of the for and skin. Nonetheless, you can stay relaxed for the next 30 days after application if the Frontline Plus. Because it has the waterproof formula which keeps the fur and skin clean always. Waterproof formula lasts for 30 long days. Easy to apply at only one spot on the Fido. Frontline starts acting within 12 hours of time. Suitable for every pooch weighing in between 45 to 88 pounds. Despite heavy advertising, none of the product can kill all the flea eggs. Coming to the second product which is as good as the Frontline Plus. However, the Vectra 3D has missed the first position due to it had some common complaints. Nevertheless, this brand has seen the bright light of Sun since it has come up with its latest formula of flea treatment for dogs. In addition to that, the Vectra 3D has a faster acting formula which kills the ticks on dogs by 6 hours of application. It consumes almost half the time killing the fleas on dogs as well. However, the story goes the same regarding difficulty in killing the flea eggs. Nevertheless, the Vectra is very reliable for controlling the ticks as well as fleas. Lastly, we have one thing to add to the review i.e. this product is a waterproof formula which will last for a month. Additionally, it is capable of removing not only fleas and ticks but also mites, lice, biting and sand flies. As the matter of fact, the Vector 3D can even keep mosquitos away. Hence, it is useful for the pooches who have more exposed skin and thin fur. Removes and kills many parasites as well as unnecessary bugs. It even repels mosquitoes efficiently. Vector 3D is a great substitute to the Frontline Plus. The Vector 3D will not be useful during severe flea and ticks deposition. Advecta is one of the most favorite dog ticks treatment products which can easily control the rapid increase of flea and ticks. Additionally, the efficient waterproof formula will not only be useful for a month after drop application but also kills the parasites by 12 hours of a span. You can easily apply this solution on the back of the neck near the shoulders of your pooch. It will keep the solution away from dog’s reach and save him from licking and getting sick. Furthermore, the Advecta II keeps every kind of parasites away from the pooch. In addition to that, you will not have worry about the dose for 30 days once you apply the Advecta. Also, it will take about half a day to actually start showing substantial results. Apart from that, the Advecta II has two active ingredients i.e. pyriproxyfen and imidacloprid. These ingredients are very effective for killing the parasites. It will not only kill the existing flea larvae but also kills flea eggs. However, regular cleaning and bathing your dog can prevent further deposition of eggs in the future. Active ingredients are pyriproxyfen as well as imidacloprid. Lasts for 30 days because it is waterproof. Easy to apply by the drop method. Here we have the product which is yet to reach the popularity for the excellent quality. The Activyl is the product focusing on flea treatment for dogs. However, Activyl has made a strong and reliable image right at the initial point of time with its quality. The makers of the apparent product do not compromise with the quality despite its cost gets a bit higher. Additionally, one dose of the Activyl will keep the fleas, ticks, mites, lice away for a month. The current deal includes three doses which can keep your Fido free from parasites for three months. Not to mention, the waterproof formula always keeps it from losing its effect despite the dog enter the muddy grounds or tub baths. Lastly, to add an important point about the product stating its cost. The Activyl is a bit pricey compared to many other products. However, you will certainly understand the worth of the product when you see the fleas and ticks falling off your Fido’s coat. It will even be suitable for the large size pooches. Effective flea treatment for dogs. Starts acting within 8 hours after applying it. Kills fleas, its eggs, and larvae along with the ticks. Cost a bit too much. This is another entry from the Frontline product line i.e. Gold. We have seen the Plus variant in the topmost position. The apparent Frontline variant is a thorough product which is useful when the Plus or any other product does not affect him positively. The Gold from Frontline can even take out the severe fleas and ticks depositions. Moreover, people go for the Frontline Gold when their pets have caught fleas, ticks, lice, mite violently. Apart from that, the Gold has the best in class 30 minute acting period which is so far the fastest. Not to mention, its effect will last for 30 days after applying it. Because of the waterproof formula, it is all possible. Adding to the fact, the Frontline Gold is a similar product to other products from the Frontline tag. Only this one has the most effective dose compared to the rest of them. For that reason, it is used during the severities of the flea and tick occurrence in dogs as well as cats. However, you shall not use the flea treatment for dogs product for cats or another way around. Because some people who own cat and dog both can accidentally apply the cat product to a dog or vice versa. Fastest acting formula i.e. flea treatment for dogs. Kills mites, lice, fleas, and ticks. Prevents from Lyme disease. Premium product which will kills every unwanted parasite from the dog’s skin and fur. Its concentration might develop flare-ups in rare cases. Sentry is rather a newer entry of the product to the flea treatment for dogs domain. However, it is not totally unknown for many pet parents. The Sentry controls the flea and tick on dogs along with keeping the mosquitoes away. It is a useful feature about this product because mosquitoes have prominently infected the dogs like they have infected humans. As the matter of fact, the Sentry even competes with the products which we have listed at the top with its effective formula. Additionally, it is very reliable with using it for the medium sized dogs. On the other hand, you shall proceed with this product very carefully if you are using it for the younger one. In fact, you shall consult the vet if you notice your dog suffers from continuous skin irritation or flare-ups. To cut a long story short, this product has an effective concentration which will effectively keep the parasites away from your Fido. On the other hand, the formula can prove to be serious for some pooches. Hence, keenly observe any behavioral change of your pet after applying the flea treatment for dogs on him. Only, initial skin irritation or redness is acceptable, do not ignore lethargy or elongated irritation. The solution becomes waterproof after drying. Effect of the flea treatment remains for 30 days. Kills and repels fleas, ticks, mosquitoes, lice. This concentration may prove to be an overdose for young pups. The Bayer K9 Advantix II is one of the most selling product i.e. flea treatment for dogs. Even on Amazon, K9 has more buyers than any other products in the same category. Hence, there is one fact very certain about this product i.e. 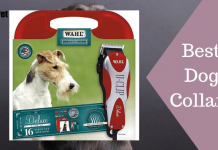 people trust this product for their pooches. Apart from that, applying the K9 Advantix II on the dog is easy. Also, the Advantix II will last for a month after its application. Not to mention, the topical solution stays for a month long on the dog’s back because of its waterproof formula. Furthermore, manufacturers of the Advantix II have developed its formula for killing the fleas, ticks on dogs. In addition to that, this formula even keeps lice away from pooches along with repelling mosquitoes. The Advantix II even surpasses the Frontline Plus in the aspect of keeping mosquitoes away from your Fido. On the other hand, its negative feedback from the existing users’ has made it rank lower according to our review ratings. Starts acting within 10 mins of application. A waterproof formula which stays for 30 days. Kills and repels fleas, ticks, lice, mosquitoes. One of the most loved product. Some user has common complaints i.e. their pooch experienced inflammation or itching or got irritated. Here we have another entry from the same brand we saw above i.e. Bayers. The only difference between these two products is its suitability for dog size and lifestage. The previous one was for the young ones or the pups whereas the apparent one is suitable for the large dog sizes. In addition to that, there is not much difference between these two products except for one, i.e. concentration. The apparent one is more concentrated with the active ingredients of the formula. Hence, the Advantage II will be sufficient for the large sized dogs. Also, the Advantage does not help the pooches totally as the Advantix II. Because unlike the Advantix II the apparent one neither kills nor repel mosquitoes. Coming to the drawbacks people have experienced using this product, there are some demerits compared to the Advantix II. This product takes almost 12 hours to start acting after applying it to the Fido. Additionally, it does well with killing fleas and lice but it does not keep mites, ticks away. Apart from that, this product would have been a great option if it can repel mosquitoes. Starts acting within 12 hours of application. Waterproof formula keeps parasites away for 30 days. Suitable for large size pooches weighing over 55 lbs. It is not as effective as the Advantix II. Nonetheless, it is mild. Does not kill or repel mites, ticks, mosquitoes. PetArmor is an also a renown flea treatment for dogs that people prefer after the Plus, Advantix II, etc. This product has proven its worth to many other brands which are dominating this domain. In fact, the PetArmor has a substantial customer community which not only trusts this product but also would recommend it to others in the comment section. Moreover, this product has seen the growth in demand because of its effectiveness despite it requires more drying time. Nonetheless, the PetArmor also stays for 30 days on the pet because it is waterproof. Hence, even if your dog keeps playing in the puddles or even has a shower every alternate day. However, the effect will keep getting milder after bathing and washing. Moreover, people have found this product to be more useful others when none of the others’ helped their dog. Generally, you will find many reviews which state one product to be suitable for the dog than the other. However, the results vary depending on the response every infected dogs’ exhibit. Some might experience positive results whereas some might not experience any change in the situation. It keeps flea, tick, lice away from the dog. Its waterproof formula stays on the dog for 30 days after applying it. One of the best dog ticks treatment products. Takes one to two days to start acting once applied. It cannot keep mites and mosquitoes away. Coming to the last entry of our review i.e. the ZoGuard Plus Flea and Tick Prevention Treatment for Dogs. It is similar to the product as many of on this list having the Fipronil and s-methoprene. Not to mention, this ingredients will not only keep the fleas and ticks away but also keep the flea larvae and eggs from developing. In addition to that, the ZoGuard flea treatment for dogs does not only have the ingredients common but also effective time similar to other products. The apparent product will not last for 30 days after applying it properly on the Fido. All thanks to its waterproof formulation and effectiveness. However, everything depends on the method of properly applying the solution. You can refer the instructions before applying it for the first time. Lastly, we would like to add something about the product regarding its use and customers’ feedback. Firstly, this product has just the ingredients as that of the other brands use. 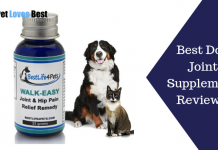 However, some users had common complains stating this product to be ineffective on their pets. In that case, we can only suggest them to follow the method of applying the flea treatments for dogs properly. Also, you shall try other products because your dog might not respond to this but would respond to other product. Nonetheless, make sure you do not ignore severe signs of skin irritation on your dog, only incidental mild redness is acceptable. Contains Fipronil and s-methoprene, which are effective ingredients. Solution after drying becomes waterproof with 30 days of effectiveness. Some dogs might not experience any change. There are many product on the market which advertises the best of qualities they have or even exaggerate it sometimes. Also, going through the reviews on the online shopping sites hardly focuses on specific details. Therefore, you need to go through the following section to have a complete knowledge and understand the qualities of the product. Not to mention, you need to keep these factors in mind while buying any topical flea treatment for dogs. 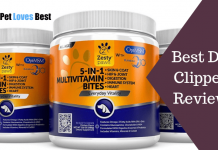 It will save your dog from getting harmful substances and you from wasting money unnecessarily. Go through these factors which will guide you to buying a perfect product suitable for your Fido. In addition to that, you can also learn about assessing the product on basis of its ingredient table and the text mentioning legal concerns. Starting with the first and foremost important factor i.e. method of application. Generally, the meds for flea treatment will have three methods i.e. topical, oral, and flea collar. You can choose any method that you specifically believe it to help your pet. On the other hand, if you are unaware of which method to use then we will suggest you go with the topical without a doubt. Because the topical method is the only fact acting as well as effective method. In this case, the bugs, fleas, ticks, etc. will not have to bite the dog. Only getting in contact with the skin of the dog will kill the parasites. Whereas, in the case of the oral consumption meds will only affect the parasites once they bite the dog. Hence, going with the topical treatment is advisable to battle with the flea problems instantly and effectively. Every product has a specific concentration and volume of the solution depending on the size of the dog. Hence, you shall always keep in mind the most recent weight of your Fido and choose the product for him. Sometimes, pet parents have an inaccurate weight estimate of their pooches while they purchase the product. And, they often end up taking the product meant of the pooches of different weight category. Hence, check your dog’s weight and get a product matching his weight. Another factor shall look for is that the product should kill or repel as many parasites as possible. Fleas, ticks, mites, lice, and mosquitoes are the parasites which bother the dogs most of the time. Lastly, you shall check if the product lasts for a month at least. Because of most of the topical meds or flea treatment for dogs last for a month once you have applied on the dog because of its waterproof formulation. Both the medication aim for killing fleas, ticks, lice, mites, or mosquitoes when these parasites get in contact with the medication. Having said that, the orally fed medication will stay in the bloodstream of the dog. Hence, the parasite has to enter the bloodstream or at least bite the dog’s skin until it can get in contact with dog’s blood to get affected(killed) by the medication. On the other hand, the topical medication spreads on the dog’s body even though we apply it to the dog’s shoulder or neck. In this case, the fleas, ticks, etc. will die just by getting in contact with the dog’s skin or fur. In fact, this method can even repel mosquitoes and kill every other parasite even though they do not bite your Fido. No, not every dog will acquire the irritated skin or redness as soon as we apply the flea control solution. However, some pooches get these symptoms during a few initial days. Nevertheless, the skin irritation, itchiness, redness will settle with a couple of days. Otherwise, you shall take your pooch to the vet or at least was him with mild soapy robs and a maximum of water. The topical flea treatment for dogs is available in liquid form which you have applied on the dogs back and shoulders. Hence, the makers prepare the dosages which are optimum for the specific size of the dogs. Its concentration varies as the weight of the dog varies. Therefore, the product that displays 25-45 lbs category then you shall use this variant if your pooch falls under this category. Otherwise, the flea control meds can have abrupt effects on your dog. To cut a long story short, we have one thing to advise which will help your pooch to recover i.e. choose the flea control med according to his weight. Additionally, thoroughly check if the medicine kills or repels as many parasites as possible. Also, you can reach out to us by commenting below your queries or thoughts, we will be happy to reach out to you.